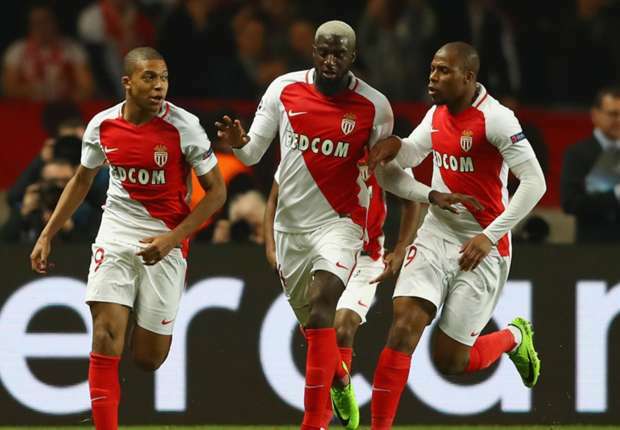 AS Monaco has completely produced a shocker to move into the next round of this season’s UEFA Champions League. They have beaten their counter parts with must needed 2 goals’ difference to seal the place into the Quarter Final. Les Monegasques were without their main striker Radamel Falcao but the Citizens proved too weak for such balanced Monaco side who were at their absolute best even without their main man. City didn’t only faced the defeat but also they have been knocked out from the tournament which also saw Pep Guardiola facing his first ever UCL round 0f 16 exit. Les Rouges et Blancs hosted the Sky Blues in an important UCL round of 16 2nd leg clash at the Stade Louis on the Wednesday night. After facing a hard fought 5-3 downfall in the first leg, the French Ligue 1 side were not only in a must win condition but also they had to win with at least 2 goals difference. They somehow displayed one of their best ever performances to level the aggregate score with a 3-1 victory and better away goal statistics after the ending of the both legs took them to their desired stage. The hosts didn’t have to wait too long for their first goal as the in form young sensation Kylian Mbappe opened the scoring on the 8th minute of the game to give his side an early lead on the night. It was the 17th strike of the season for the Paris born French midfielder. Bernardo Silva provided the assist of the first goal. Brazilian defender Fabinho doubled the lead on the 29th minute and levelled the aggregate score. It was the 9th goal of the campaign for 23 years old full back. Defender Benjamin Mendy assisted on this occasion. The first half-finished with the 2-0 advantage for the home side. The men in sky blue were in a must scoring condition in the second half as the aggregate score was level at 5-5 at the break but the Les Monegasques were ahead with the more away goal system’s advantage. The visitors finally got their must needed goal on the 71st minute as their German forward Leroy Sane finally gave them the precious goal. But the drama was not over as Tiemoue Bakayoko scored the most crucial goal on the 77th minute to take his team to the next round after 180 minute’s exciting football with just his 3rd but the most unforgettable strike of the campaign. The final aggregate score was 6-6 and the team from the French league, were through because of having the more number of away goals than their opposition.